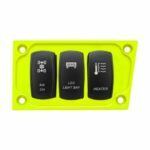 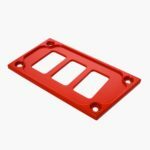 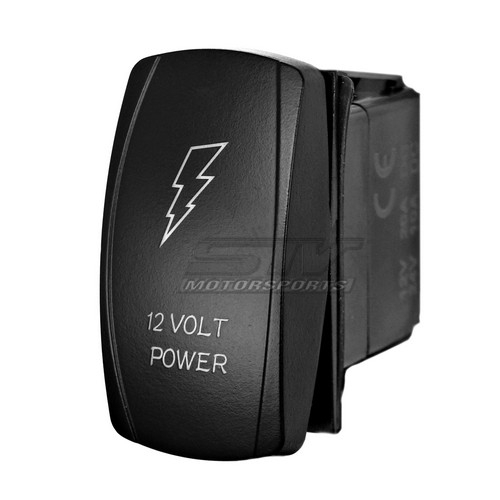 STV Motorsports 3 Switch Left Side Dash Panel upgrade for your RZR XP/XP4 1000. 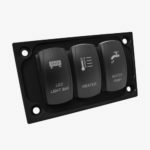 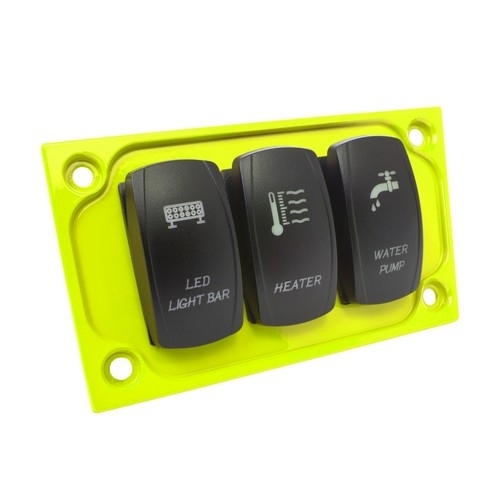 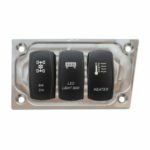 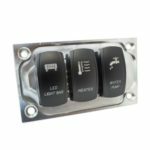 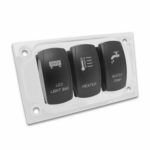 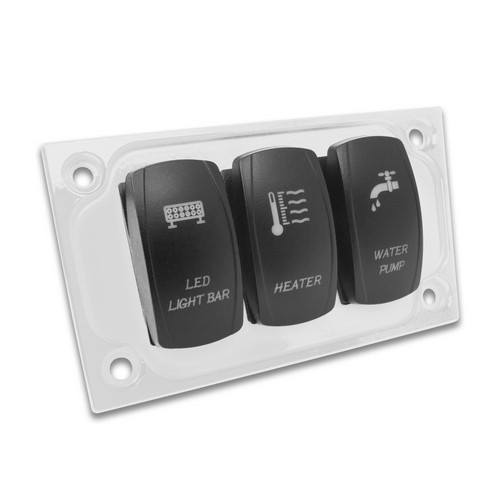 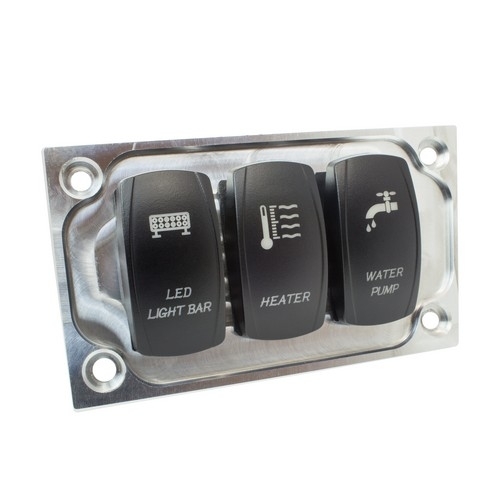 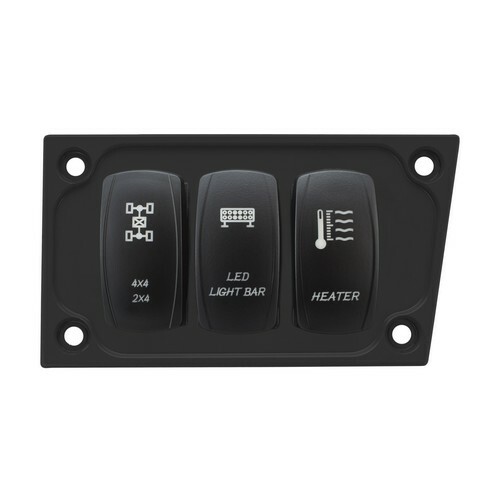 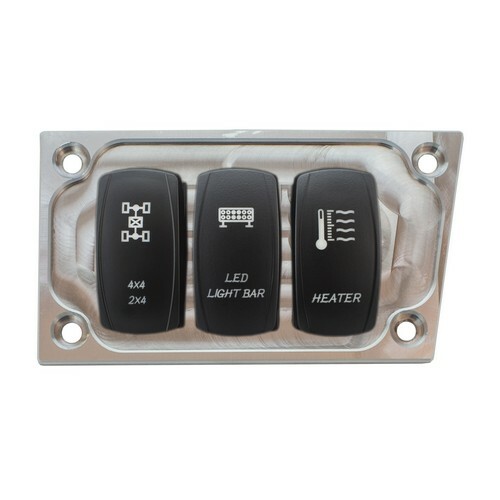 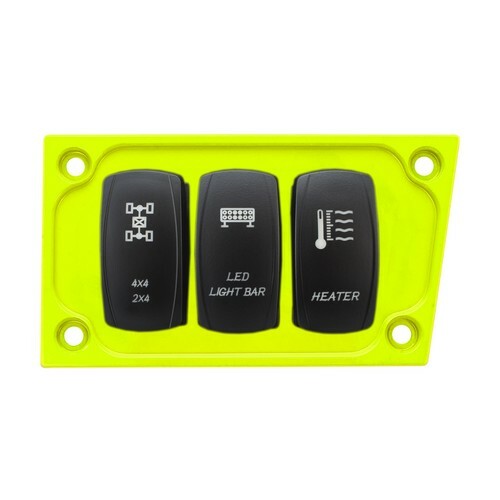 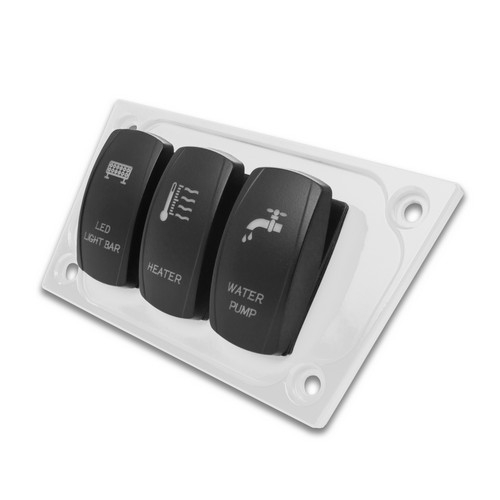 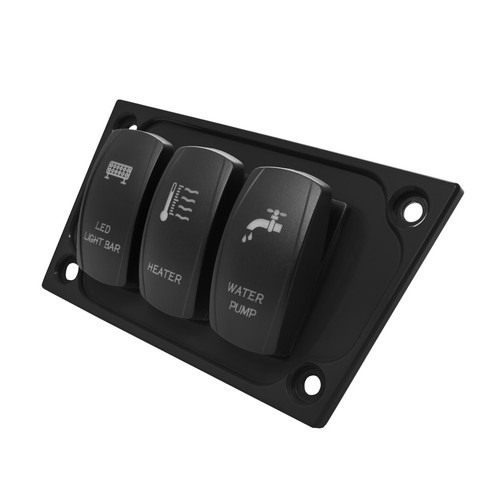 This panel adds additional switches to your RZR for lights and accessories and gives you a custom look. 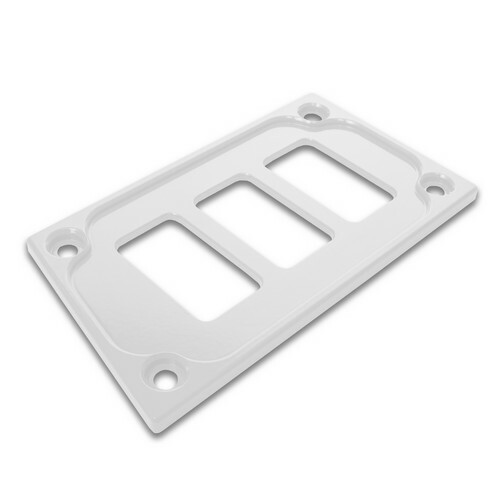 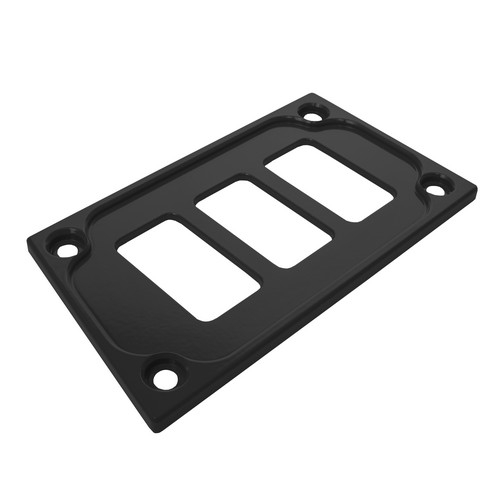 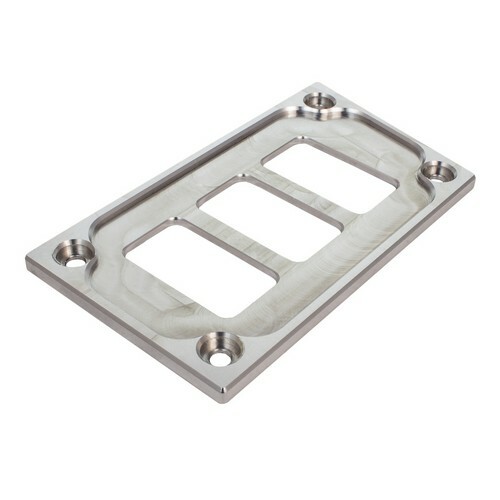 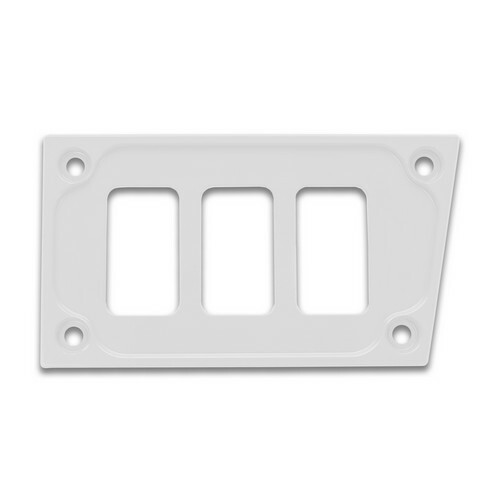 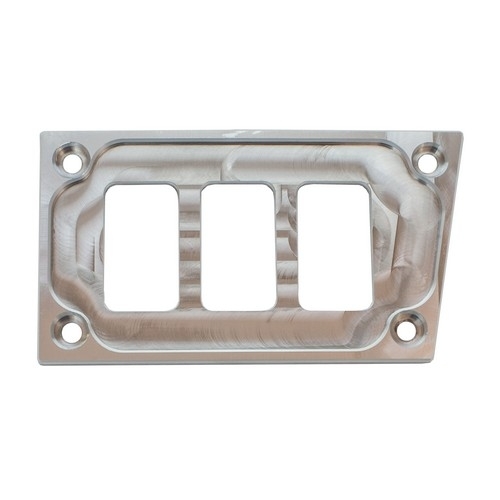 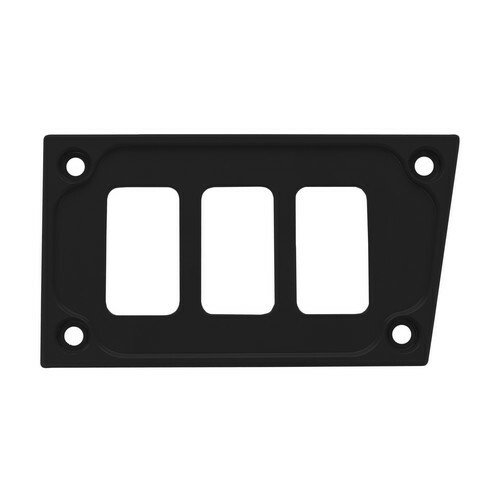 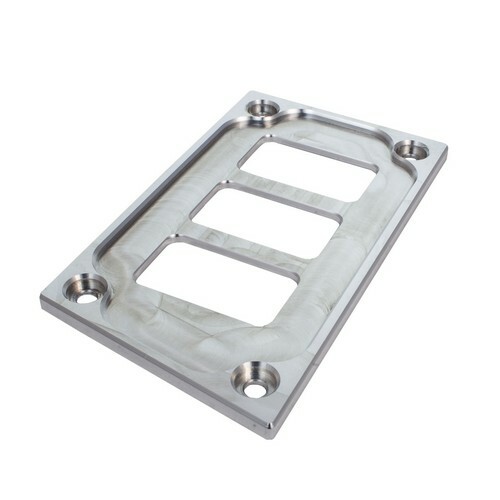 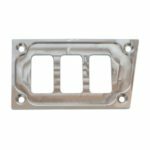 The STV Motorsports Dash Panel is 100% made in USA, constructed from aluminum and CNC machined. 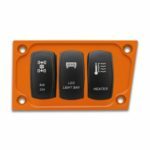 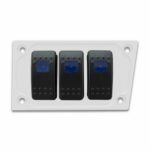 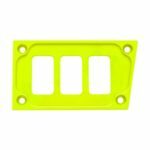 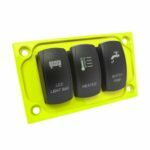 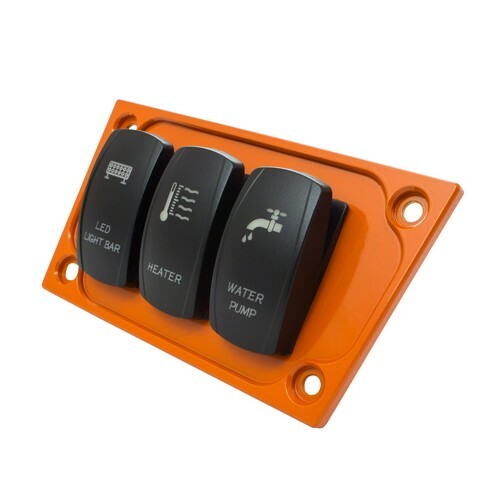 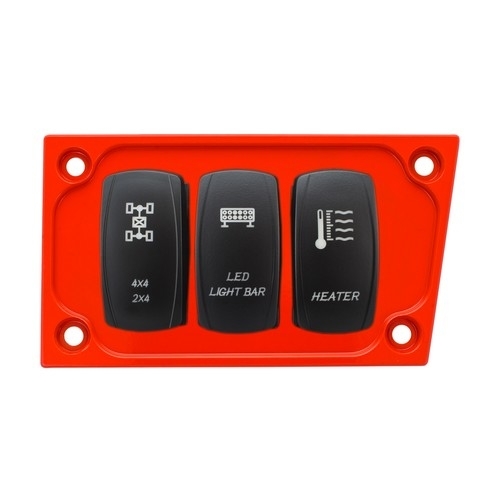 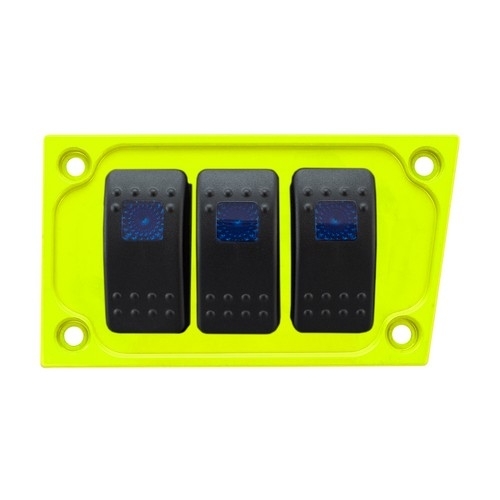 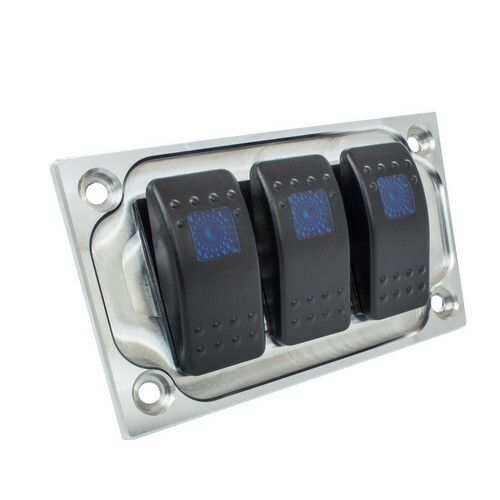 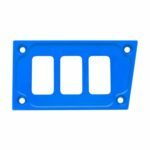 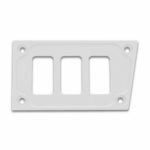 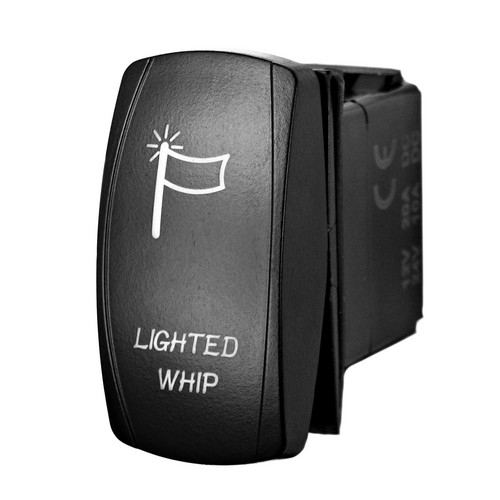 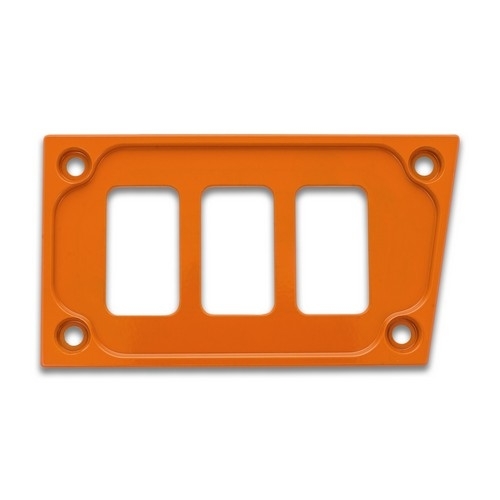 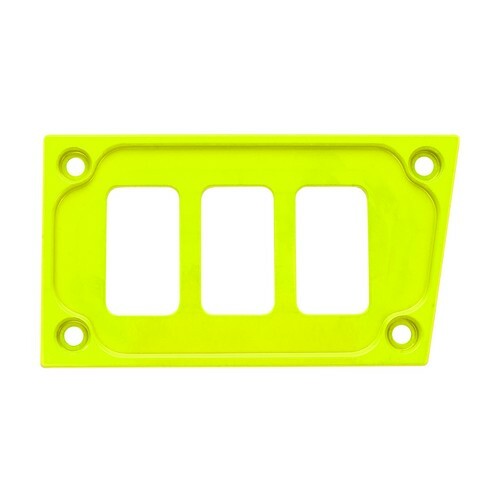 Match the custom look of your Polaris with one of the powder coated black, blue, red, orange, lime, white or aluminum dash switch plate. 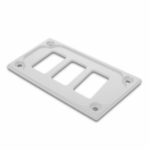 Installation is very easy although you will need to cut your factory dash to install the switches. 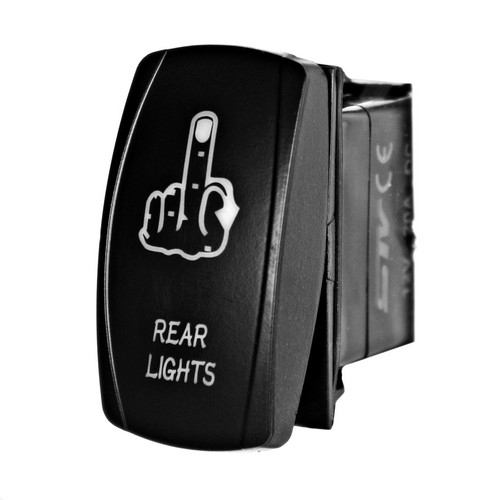 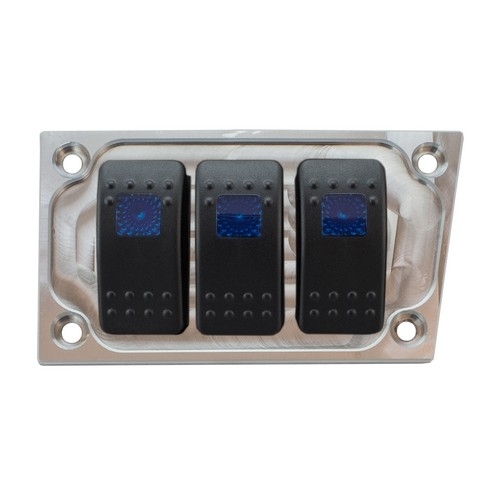 Fits all of our rocker/laser/backlit switches. No switches included only dash panel and mounts hardware included.